If you’re a fan of zombies and want to experience what its like to try and survive a zombie apocalypse, then State of Decay is the game for you. The scientists down at Undead Labs have concocted an amazing survival-horror game, with an emphasis on survival. 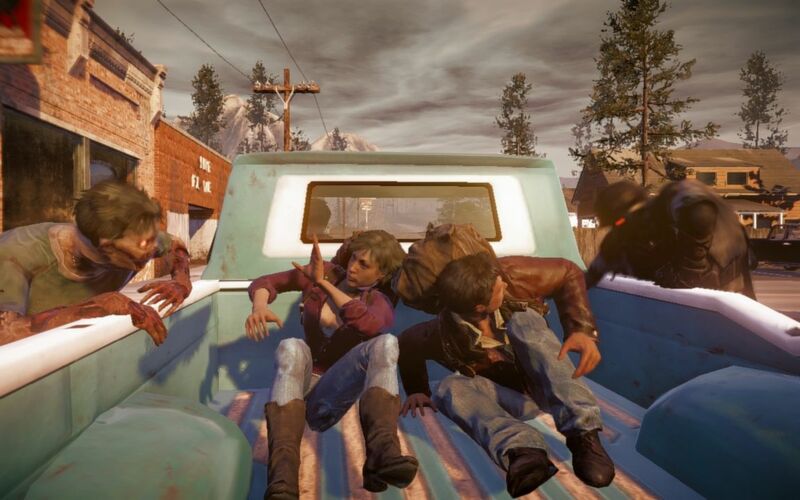 State of Decay is taking the zombie genre right where it needs to go and I recommend it to all zombie survival-horror fans. 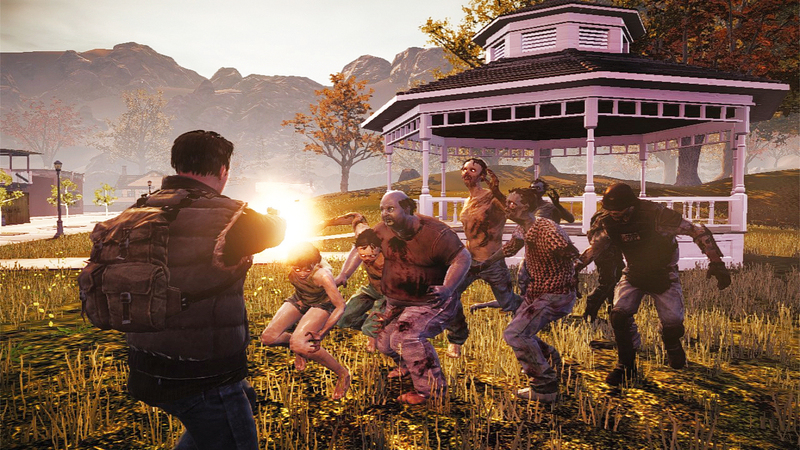 The main component of State of Decay is survival, and learning to stay calm in bad situations. The game starts you off fighting for your life as Marcus, one of the games many survivors. You will eventually come across Lily, whom you will receive most of your missions from, and possibly, the actual protagonist of the game. A small bump in the game for me is the story, or lack thereof. Lily is probably the only character you will learn anything about, and most other NPC’s eventually become irrelevant. Even without a great story, this game can be pretty sentimental. While you don’t get a lot of background on your survivors, other than small personality descriptions in the stat menu, you’ll find yourself picking favorites and becoming emotionally invested in them. There are many survivors in State of Decay, and it is possible to have 30+ survivors in your camp which will increase their chances of survival, but again, this is a survival-based game, so more people means more need for food. Survivors can argue with each other, have accidents, or go missing during missions. This is where your base comes into play. Building you base is all up to you, and depends on what your survivors need. You can build a garden to reduce the need to go search for food, or a medical lab to heal the wounded and keep the survivors from getting sick. There are many building options as well as base locations to choose from, but be cautious of the space you have. You’ll have to think about your group’s population and needs, so build strategically, and mind your resources. In addition to your base, you can also have outposts, and I recommend having as many as you can. Outposts help keep an area clear of infestations, help your survivors come back from missions, and keep you safe from hordes overrunning your base. They can also provide resources until they run out, and trust me, you’ll want that. The greatest feature about State of the Decay that I personally love is the resources, and how this feature was executed. There are 5 types of resources you can gather in the game; fuel, food, medicine, ammo, and building materials. Each one is just as important as the next and you will find yourself scavenging for them throughout State of Decay’s massive open world. Each resource is important for obvious reasons, but what makes this feature unique is the amount of resources the game has. Scavenge and spend your resources wisely because once its gone, then its gone for good. That’s right – resources do not respawn in this game and neither do vehicles or weapons. Unlike Dead Rising where everything is basically infinite, State of Decay’s resources are limited; this gives a more realistic feeling of desperation as you start running out of places to look. This structure of resource gathering prompts a level of desperation most other zombie games can’t achieve. Less resources means lower morale, and lower morale leads to unhappy survivors, and that is not good. For an Indie game, I personally believe this game looks fantastic, and the level of detail is amazing. With that said, there are still issues with texture pop-ins at times. I occasionally found myself ramming into a fence or something that wasn’t there until a few seconds before, but nothing too serious. There are some blurred texts or pictures in the game, but again, that is something you might barely notice, if you even notice it at all. What I do enjoy is how the map is laid out, and the detail that goes with it. The small town actually feels and looks like a small town, with farm lands and canyons blending together nicely, while the small city feels and looks like a small city. As you explore buildings for resources, you’ll notice how the buildings are lined up to make sense, and not randomly thrown together. This can be an emotional experience as well as you begin notice abandoned school buses, or having to scavenge through what used to be a little kid’s room. Adding to the visuals is the voice over from the characters, which are very fitting and well done. You’ll hear small conversations between survivors every once in a while and as these conversations depend on their morale, their dialogue is very believable. The only downside is that many of the voices are recycled, but I didn’t find myself being too bothered about that. 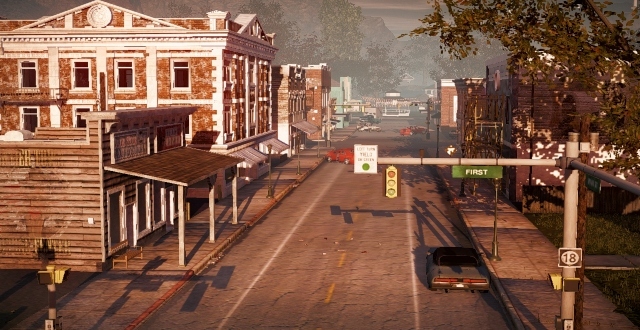 There aren’t many cut scenes in State of Decay, but the game doesn’t really need them. As a result of that, the best part is the lack of loading screens. You don’t go into other zones and story cut scenes are done in game so there is no wait. The only loading you’ll have to do is when you start a new game or when you load an old one, and even then, it’s only about a 15 to 25 second load. I've always wanted to play a zombie game that gave me a feeling of dread, and showed how hard it is to survive in a world like this. 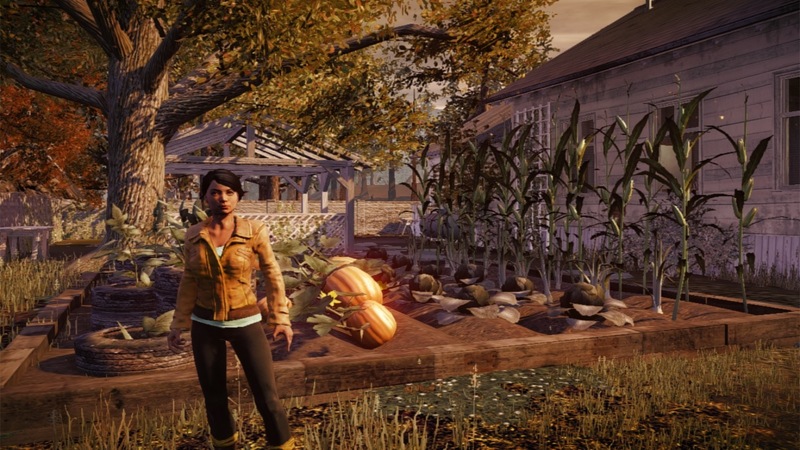 State of Decay delivered a game that tests your ability to survive and manage over other survivors, while at the same time forcing you to build defenses and make strategic decisions... I spent about 10+ hours playing the game the first time, and even more on the second play through getting achievements. There are a few kinks in the game such as texture pop-ins, story, and recycled voices, but the experience alone makes them barely noticeable. I recommend this game for any survival-horror fan out there; definitely a game worth getting and trying out.